Trekking adventurous activities are fun and thrilling they are not leisure thing but. It is a different passion that drives people here. It is in the essence of traveling that teaches us many things. It is a quite easy way to look and analyze life. If there is any chance of creating a fundamental change in you than I suggest travel and meet new people it would definitely change your outlook. Treks like Rajgad to Torna have their own significance. 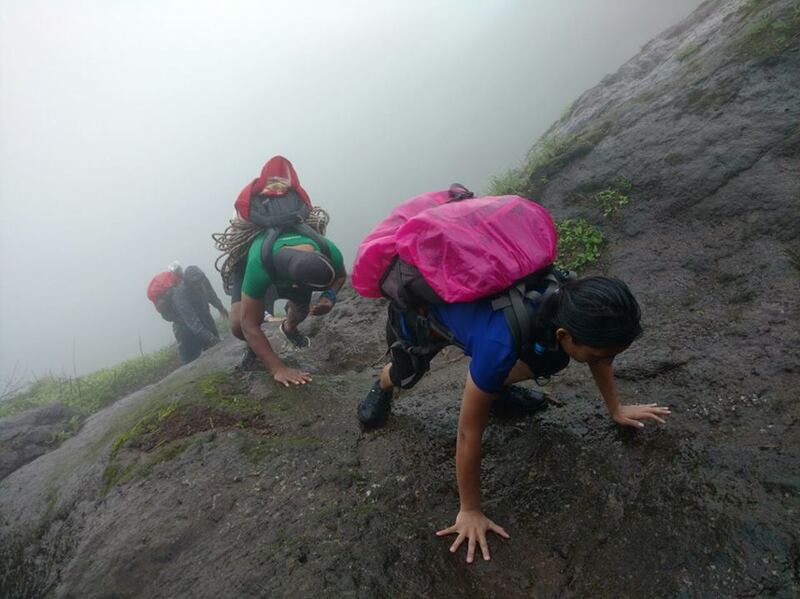 Most of the trekking groups in Pune organize reverse Torana to Rajgad trek. A trek that mesmerizes you to the core and leaves you with memories of a lifetime that’s how this trek is. The rain was lashing heavily; we started our trek in the morning. 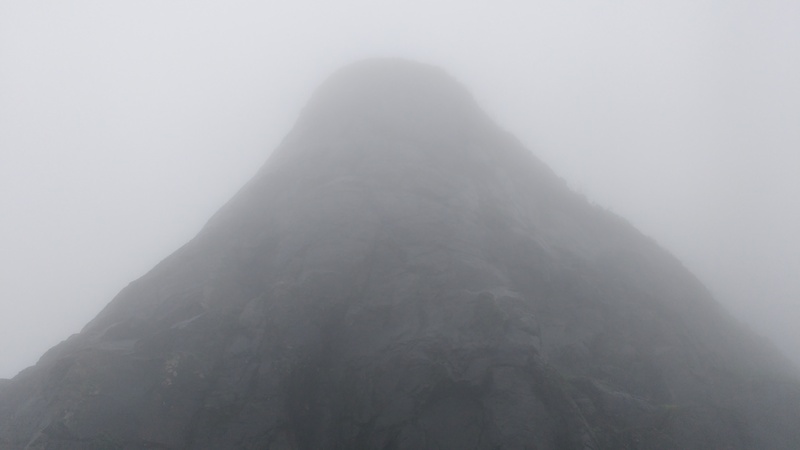 The massive Rajgad with three ‘maachis’ (Plateaus) spread in three corners was to be climbed. The route we took was of ‘Padmavati maachi’ had an entry through ‘chor darwaja.’ It is a little difficult route also many waterfalls can be seen on the way. The steep slopes, slippery mud, wet rocks are what makes the trek adventurous. Look down while climbing and tiny villages and huts can be seen. Beauty is everywhere, the greenery on all sides. After 2 hours of the trek we reached the ‘chor darwaja’ walking further we reached Padmavati Lake. The massive lake is almost 30 feet deep and is advised not to dive in. A temple is situated further climbing the steps. As we were divided into groups some of us had already reached the temple. People drenched in rain coming in and going out had caused the temple floor to be pooled with water. We somehow cleaned a little and sat for lunch prepared by villagers, a hot lunch in a cold climate is such a pleasant feeling. After lunch some of us went ahead to view the fort’s center place, the ‘ballekilla’ though in dilapidated state it still looked massive and showed its significance in history. A lake in shape of D sized moon looked marvelous. The broken offices and ‘mahals’ told a story of Maratha Reign. Clicking some photos and viewing amazing nature with rains slashing, we turned back to temple. Meanwhile, those who had stayed in the temple had cleaned it dry. The time went by and it was getting dark, the rain hadn’t stopped rather it was coming down more heavily. The diya in the temple was lit, the torches were hanged we sat in groups and played different games. After a while, ‘aarti’ of the goddess was done. Dinner was served and after that, we were ready to rest. We were up by 4 am in the morning. The most adventurous part of the trek was about to begin. We waited for a while because the rain was heavy and it was still dark. The rains had caused us to think that should we descend back or continue the trek? We waited for a while and at around 6 am trek leaders decided that we should continue the trek, visibility was good. So the trek to Torna; trek is through descend from ‘Sanjivini maachi.’ The Rajgad gets explored while following this trail. Many structures which are eroded can be seen, the water tanks and the watchtowers are architectural marvels. The trek towards Torna is of 10 to 12 small hills. As we descend Rajgad which in ways quite tricky and rainy season makes the slope slippery we come across a small tar road. The adventure of slippery slopes is quite different, it gives you a thrilling experience, Dense with flora on all sides the trek refreshed us in a way that inspired us to continue. The tar road that divides can be said as half distances covered. Trekking in Maharashtra is altogether a different experience. Hills covered with lush green trees, rain pouring and heavy breeze what a wonderful climate it was! Dusting away the city dirt from us we got refined in some sort of way. 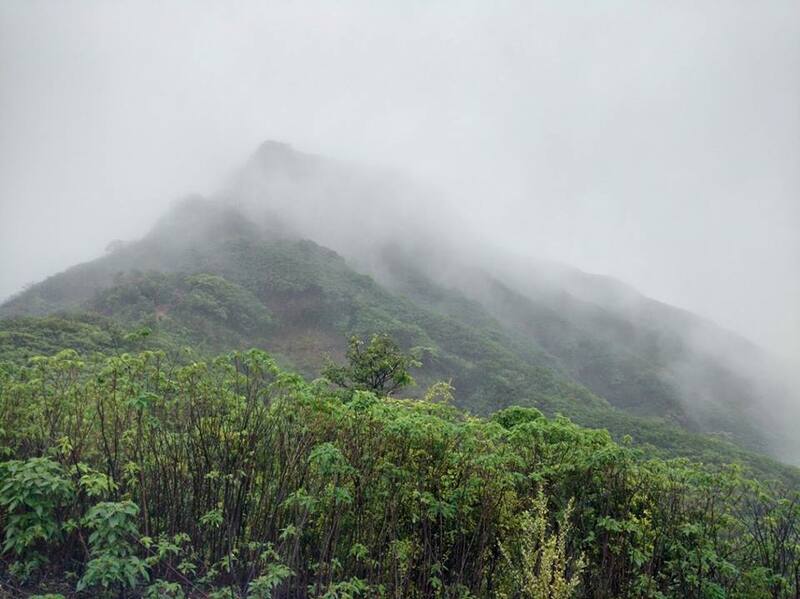 The rain hammered us not only from the top but from sides also as on the hills we were not below clouds but into them. Every hammering drop energized us to reach our destination. Taking rest where we can, clicking photos and getting lost in wonderment of nature the trail towards Torna was filled with exploration of nature’s beauty and nothing else. One is just enticed by the beauty of Sahyadri. 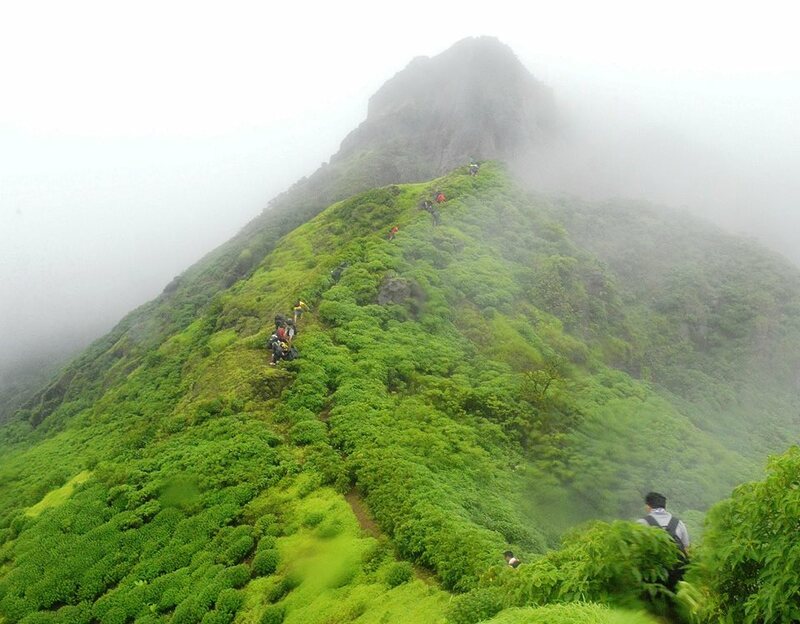 During summer, both the forts in Maharashtra are trekker’s paradise. As we moved forward and climbed up one of the patches of the steep slope, watchtower of Torna came into view. The well-built strong structure just looks massive and surely we know why Maratha Empire’s strength was the great forts built in great Sahyadri’s. Circling it we climbed another watch tower just ahead of it; it is quite a rock patch steep, one has to grip the rocks and climb. This is just one side of Torna and we further had to walk towards the main gate and temple. There are many small and narrow ridges while covering this distance one is literally walking on the edge. There was one point while climbing Torna where the breeze was such that we had to bend down and move forward because we were being pushed by it. Walking on the edges, at some places, railings have been constructed taking the support of them we reached one of the gates of Torna and further the temple. We completed this trek in about 7 hours we had started at around 6 am from Rajgad in the morning and reached Torna at around 1 pm. resting for a while we had a hot meal prepared by villagers. All were hungry because of such a long trek. Surely we had snacks to eat while trekking but a meal is a meal. After the meal, wasting no time we packed ourselves and started the final journey descending the Torna. Descend of Torna was not that difficult. Few tricky patches are always part of the trek but that’s what makes it interesting. While descending the trail of hills could be seen, each hill had waterfalls coming down from the top; the beauty of it just was enthralling. Descending further we reached a concrete road, from here it just walking down towards the base. The private vehicle that we had hired was parked here. We had started from the Gunjavane base village, ascended Rajgad, trekked towards Torna, descended Torna and reached Velhe base village. Changing into dry clothes we sat in bus and started our back journey, bidding adieu as each one got down at respective stops. The amazing adventure had come to an end and left us with memories that can be cherished for lifetime. There are many overnight treks near Mumbai, but this was so far the best. Gunjavane Village (base village at Rajgad): 60 km from Pune. Velhe Village (base village at Torna): 45 km from Pune. Rajgad to Torna Stretch: Approximately 12 km. Why you should not visit crowded places in this season?